Chinese New Year begins on February 8, bringing the exciting Red Fire Monkey. Imagine monkeys and fire, and you get a sense of the energy shift coming. 2016 is all about cleverness and agility because 2016 is going to be a wild ride. This is also considered a Mountain Monkey year, so set aside time to retreat and be certain that you’re including the things and people who really matter to you in your busy life. 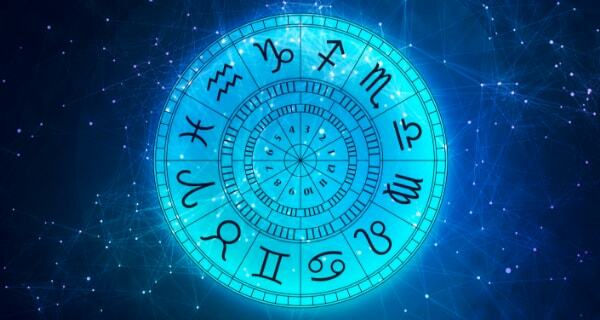 Your detailed astrology reading is waiting! 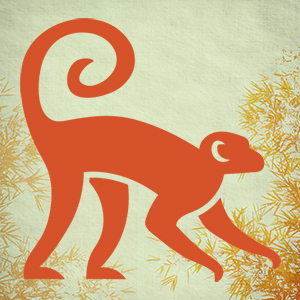 Click here to learn how the Red Fire Monkey impacts you. February 8 also begins the Tiger Leaves the Mountain Month, setting the perfect mood for Valentine’s Day with its luxurious, romantic social activities. Use your February animal days to express your special gifts at this dramatic time. On February 12 as the Rat on the Roof, you have the passion and the intelligence to help others find their strength. Spend the day “sniffing out” your best options as the Field Rat on February 24. Once you’ve assessed your situation, the afternoon/evening will be the time for action. On February 1 you’re the Ox by the Gate in this Ox in the Byre month. You have a powerful voice, so stay focused on what’s logical and best for everyone. 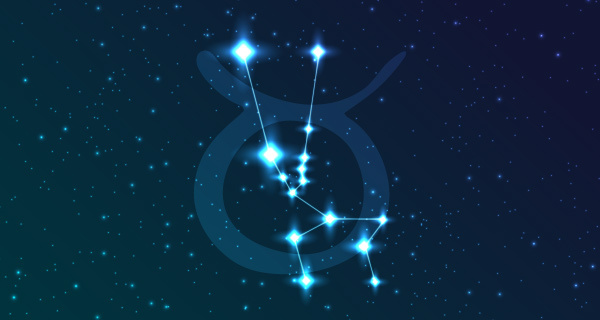 Lay foundations for some new beginnings on February 13, your Sea Ox day. Your heart can easily overrule someone else’s romantic fears on February 25 as you are the Lake Buffalo. You’re the Tiger Standing Firm on February 2, guiding others with loving words to reality. Valentine’s Day is a Tiger in the Forest Day/Tiger Leaving the Mountain Month. You are fearless in love and life. On February 26, this Tiger Climbs the Mountain day gives you the friskiness to express your brilliant ideas. Get serious about your ideals as the Enlightened Rabbit on February 3. Speak carefully and others will begin to grasp your vision. You’re the Rabbit Dreaming of the Moon on February 15—a day of clarity to share your hopes with someone in power. On February 27 allow your emotions to feed your spirit as the Rabbit of Woods and Mountain. On February 4 remain calmly above the fray as the Dragon in the Sky. Educational activities serve you well on February 16 as you’re the Dragon of Pure Virtue. Inspiration combined with a strong sense of self brings success on February 28 as you are the Dragon of Patience. Put your emotions into perspective before you speak as the Snake in the Pool on February 5. On February 17 you’re the answer to someone else’s worries as the Snake of Happiness. Enjoy healthy exercise on February 29 as the Hibernating Snake. Then relax and enjoy. A quiet morning listening to the sounds of nature can serve you well as the Horse in the Stable on February 6. Creativity follows. You’ll experience surprising events on the afternoon of February 18. Just stay calm as the Palace Horse and you’ll be the one in charge. Align your spirit and soul on February 7 in the midst of your brilliant new ideas as the Sheep in the Pasture. Allow it all to coalesce before taking action. Use your energy in the morning to get things done on February 19. Then enjoy a lovely evening as the Lucky Sheep. You speak a compelling truth on this first day of the Chinese New Year (February 8)—a Monkey Eating Fruit day. This builds future success. Enjoy an exciting day of drama with a fun group on February 20 as the Elegant Monkey. As the Caged Rooster on February 9, you know that your dreams can become real. Just express yourself in this grand way and see what unfolds. February 2 is a high-energy day for creative accomplishments, or winning the game/prize as you are the Barnyard Rooster. On February 10 you’re the Watchdog. Balance your most positive ideas with a drive to make them real. Be sensitive to others’ words as you share these thoughts for success. The Full Moon day of February 22 reminds you that confusing emotions are best handled by waiting for clarity as the Guard Dog. You really want to make those great creative ideas happen on February 11 as the Pig in the Forest. Let the juices flow and record them so that they can become a future reality. 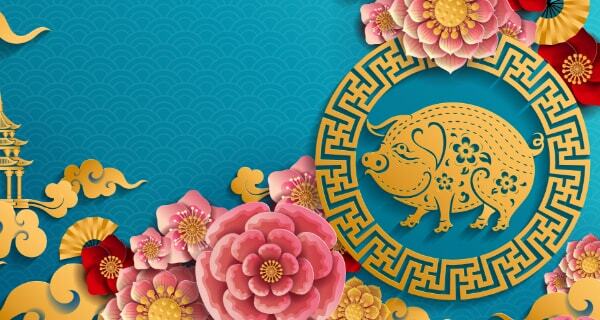 Perseverance and a positive attitude bring success on February 23 as you are the Traveling Pig. I hope your right as, I am examining all that lay at my feet. I have lots of high bills,need a cash flow to pay them,do you see any financial break through soon? how does it relate with my life.